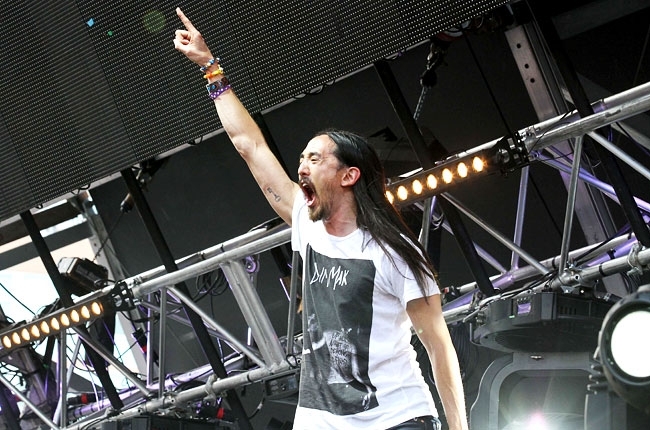 The new Vegas hot spot will open with an electronic bang in late April, including Steve Aoki, Deadmau5, Calvin Harris and Laidback Luke. Hakkasan Las Vegas, the MGM Grand’s new five-level restaurant/nightclub venue, has unveiled the details surrounding its Grand Opening weekend, April 25-28. 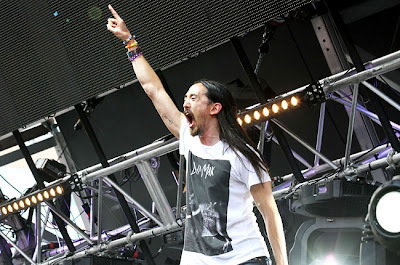 The four nights will feature performances by EDM luminaries Steve Aoki, Deadmau5, Calvin Harris and Laidback Luke, the first of their exclusive residencies. "Hakkasan Las Vegas is going to be an experience beyond anyone’s imagination,” Luke told Billboard exclusively. “What I am doing at Hakkasan will be completely different from anything else that my fans have seen or heard from me so far." The very buzzy Hakkasan has made headlines in Las Vegas for its huge price tag (reportedly $100 million to build), and the million-dollar paydays it was reportedly offering to potential resident DJs to draw them away from their former homes, at the clubs of Wynn Las Vegas and Cosmopolitan. Aoki, Deadmau5 and Harris are all former Wynn residents. The Grand Opening weekend is flanked by a preview weekend April 18-21, and “Fight Weekend” May 2-5, coinciding with the welterweight championship bout between Floyd “Money” Mayweather and Robert “The Ghost” Guerrero. The lineups for those events are below, and include marquis resident Tiësto. Hakkasan’s Grand Opening also happens to be the first unveiling of the Mandalay Bay’s Light, a Cirque Du Soleil-themed nightclub. Its opening weekend features exclusive residents DJ Nicky Romero, Clockwork and Andy Caldwell on April 26, and Axwell and Hook N Sling on April 27. Tickets for Hakkasan events go on sale Friday, March 29 at 10 a.m. PST and are available on Hakkasanlv.com.